British MPs reject a no-deal Brexit. Now, will the U.K.'s departure be delayed? 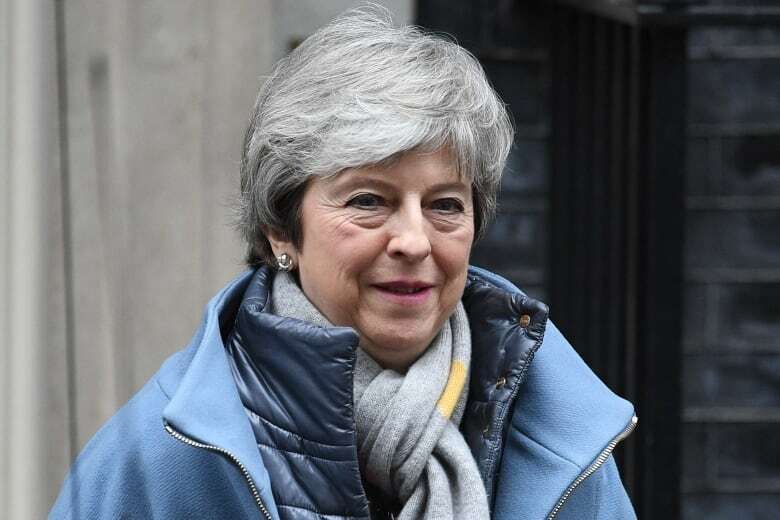 The British Parliament on Wednesday rejected leaving the European Union without a deal, further weakening Prime Minister Theresa May and paving the way for a vote that could delay Brexit until at least the end of June. After a day of high drama, lawmakers defied the government by voting 321 to 278 in favour of a motion that ruled out a potentially disorderly "no-deal" Brexit under any circumstances. The decision lessens but does not remove the chance of a chaotic "no-deal" Brexit. It also increases the chances that Britain's exit from the bloc will be delayed. The vote has political, but not legal, force. It might however ease jitters spreading across the EU after lawmakers resoundingly rejected May's divorce deal on Tuesday. Exiting the EU without a deal could mean major disruptions for businesses and people in the U.K. and the 27 remaining EU countries. 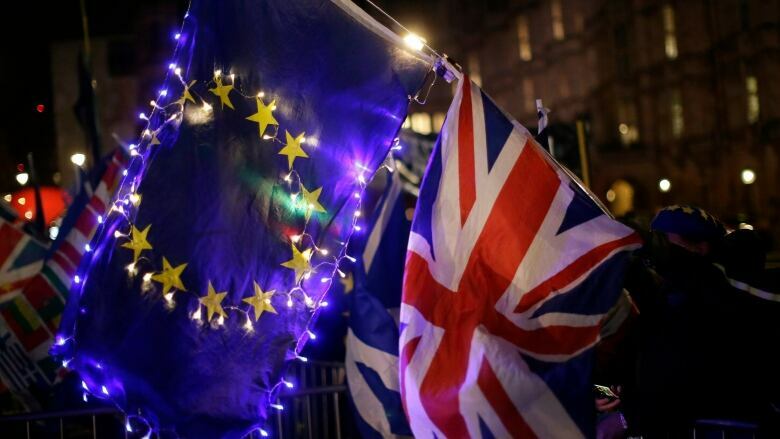 A no-deal Brexit could still happen unless Britain and the EU ratify a divorce agreement or Britain decides to cancel its departure. Parliament's next step, in a vote Thursday, will be to seek a delay of that looming departure date. Reacting to the vote Wednesday, May suggested that her deal was the only one on the table with the EU. The default legal position, she said, remains that the U.K. leave the EU without a deal unless something else is agreed. A second referendum is possible, she said, "but that would risk no Brexit at all," something she cautioned could break the "fragile trust between the British public and the members of this House." The European Commission meanwhile warned that voting against Brexit happening without a withdrawal deal in place isn't enough and lawmakers must approve the deal, too. An official from the EU's executive branch noted Wednesday that the bloc already reached a divorce deal with Prime Minister Theresa May and the House of Commons rejected it — twice. The official asked not to be identified because of the sensitivity of the unresolved situation. Fears arose Wednesday that Britain would crash out of the bloc on March 29 without a withdrawal agreement to smooth the way. The former British prime minister who set the Brexit process in motion, meanwhile, warned that leaving the European Union without a deal would be disastrous for the United Kingdom. David Cameron on Wednesday said a "no-deal" scenario "would be a disaster for our country," and urged members of Parliament to rule out leaving the EU without an agreement. As Britain teeters ever closer to the edge of the Brexit cliff, it's far from clear if MPs in Britain's divided and squabbling Parliament can agree on a way forward. There are competing factions that support May's deal, a "softer" deal that would keep close ties with the EU, a no-deal Brexit, or even a new referendum on Britain's EU membership. Cameron said he fully supports May's attempts to maintain a "close partnership" with Europe after Britain leaves the EU. He also recommended seeking an extension to the March 29 deadline. Cameron resigned after failing to convince British voters to stay in the EU in the 2016 referendum. He called the referendum to settle an internal Conservative Party dispute, but ended up losing his office. Meanwhile, the U.K. government has said it won't impose new checks and controls on goods at the Northern Ireland-Republic of Ireland border if the U.K. leaves the EU without an agreement on future relations. The policy is part of temporary tariff regime unveiled Wednesday and set to last for up to 12 months. As part of the plan, the government said there would be no tariffs on 87 per cent of imports by value, a "modest liberalization" compared with current trade rules. A mixture of tariffs and quotas will apply to beef, lamb, pork, poultry and some dairy "to support farmers and producers who have historically been protected through high EU tariffs." Germany's foreign minister said the U.K. Parliament's rejection of the Brexit deal was "reckless." Heiko Maas said the EU made "far-reaching additional offers and assurances" at Britain's request this week. In remarks released late Tuesday, Maas said the decision to reject the deal "brings a no-deal scenario ever closer." He said "whoever rejects the agreement plays with the welfare of their citizens and the economy in a reckless way." Scotland's First Minister Nicola Sturgeon on Wednesday called on U.K. members of Parliament to rule out a no-deal Brexit "decisively and for all time." The decision to reject the deal for a second time dominated European media headlines on Wednesday. A headline in the French newspaper Liberation said Brexit is "back to square one," while German broadcaster n-tv noted "disappointment and incomprehension in Brussels." Russian broadcaster RU-24 reported in its morning bulletin that "the British aren't showing any signs of panic half-a-month before the key date." The headline in the Daily Mail called Parliament, "The house of fools." The Guardian's headline referred to "another huge defeat for May." "How much more of this can Britain take?" asked the Express.